Tarodash is under attack from an ancient enemy. A land of gentle folk, unused to conflict, it is ill-equipped to face an invasion. Perad, a young herbmaster, is called upon to save his village, using craftsmanship enhanced by a magic which resides in the rock strata of the land. A raiding party is defeated, but the invaders will return, and may even be seeking revenge. The village must flee. As the enemy close in, Perad faces further tests, until, in a final confrontation, he will need to wield his craft on a vastly different scale. Herbmaster of Tarodash is a traditional fantasy adventure, with the narrative cadences of a thriller. Written with lyricism and sensitivity, a plot of strength and clarity, and deep attention to the integrity of its world and people, it is a book for those who cherish fantasy interwoven with powerful elements of courage, loyalty, sacrifice and love. Set to appeal to readers of Ursula le Guin's A Wizard of Earthsea. 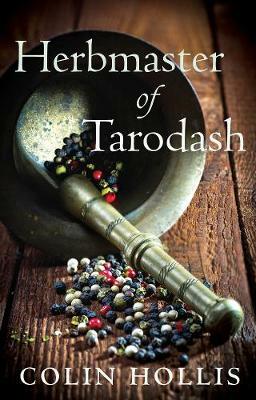 Colin Hollis's Herbmaster of Tarodash carefully blends fantasy with the pacing of a thriller to create a gripping first novel.